contact information appropriate for your account. call 650-432-7350 or 888-330-2300 (toll free in the United States). recording, or otherwise, without the prior written consent of CyberSource. 252.227-7013 and in similar clauses in the FAR and NASA FAR Supplement. reserved under the copyright laws of the United States. transaction. See "Creating a Follow-On Subscription," page 70. Level III Fields," page 33.
web site, or you can use the CyberSource Simple Order API. have a reliable and fully tested payment service. shipping addresses of your customers. see the Connection Methods diagram under the Support tab of the Business Center. which is a Web-based version of the credit card terminals that you use at a retail store. Terminal – Chapter 5, Searching and Reviewing Orders. see the Business Center Simple Order API User’s Guide. will be subject to a reversal of payment (also known as a chargeback). error. You cannot capture these last orders. "Reviewing Declined Credit Card Authorizations," page 83 for information. your business in the Business Center. As soon as you log in, you are prompted to choose a permanent password. You can change your password as often as you want. In the Current Password box, type the password that you used to log in. The password must contain at least 8 characters and no more than 50. The password cannot contain the user name or be same as the last 15 passwords. The password must contain at least 2 letters. The password cannot contain more than 4 instances of the same character. The password must contain at least 5 unique characters. The Password must contain at least 2 unique numbers (symbols count as numbers). the online help. Your password expires every 90 days. The secret profile page appears. the question correctly to be allowed to log into the Business Center. Choose a question and type the appropriate answer, and click Submit Request. checking account and credit card information for the monthly costs of the account. Enter your business and account information for electronic checks. Optionally, enter your credit card information. be forced to send your account to a collection agency. Scroll down to the bottom of the page and click Agree. The Business Center home page appears. You are ready to start using the Business Center. shown on the left side in the orange section just below the work CyberSource. below (yellow triangle), and informational messages at the bottom (gray page). Messages have a variable expiration date, so be sure to check this page often. navigation pane shows the types of searches that you can request. If your billing information has not already been entered, you need to do so at this time. In the navigation pane, select Account Management > Merchant Information. Scroll down to the Payment Authorization section. At the bottom of the page, click Update. If your account provider has already provided this information, proceed to the next section. Otherwise, follow the instructions in this section. If you do not have all of the required information, contact your acquiring bank. slightly. One of the pages that you may see appears below. Choose a processor and click Select. The settings page appropriate for your processor appears. Enter the information that you received from your acquiring bank. The Business Center saves your updated information. electronic checks or QuickBooks®, under Account Management > Additional Services. provider has signed up on your behalf. Systems where you can obtain all the necessary information. "Going Live," page 23 and "Testing the Virtual Terminal," page 25. Simple Order API, use the information in the Testing Simulator supplement. your payment processor information, contact your acquiring bank. Sign up with a check processor by arranging this through your account provider. When your testing is completed, you are ready to go live. account is live, you can test and use the Virtual Terminal. Verify that your account information is complete and correct if you have not do so already. In the navigation pane, click Settings > Account Information. Scroll to the bottom of the page. disappears after you go live. Read carefully the information on the page, and click OK. Your account is now set up to process live transactions. Log out of the Test Business Center. You are ready to process transactions. Settings," on page 28 for detailed instructions. be evaluated. See "Configuring Smart Authorization," page 40.
permissions. See "Managing Users and Their Privileges," page 44.
those provided below with any future expiration date. for Visa, $1.03 for MasterCard, and $1.06 for American Express. your acquiring bank to confirm your payment processor information. effectively in the Business Center. Accept Electronic Checks," page 120. - Alternately scan a card or enter the information manually. - Print a receipt for each transaction. - Adjust your retail transaction settings in the Virtual Terminal if necessary. Order with the Virtual Terminal," page 58.
at the point of sale, such as in your store. information that you will enter to process each new transaction. how to configure the settings. can display or require totally different elements for each view. store (MOTO or Internet transactions). For either type of transaction, your options are to process an authorization or a sale. However, remember that an authorization does not move money into your bank account. is scanned or after the card information is entered in the order form. to the Hosted Order Page settings. ensures that your customer has physical possession of the card at the time of the order. For more information on the card verification number, see "Card Verification Number,"
normal type if you choose to only display it. below the credit card field. will not be able to submit the order unless these fields are completed. can modify the value if necessary. Name of the customer’s company. previous section also apply to these fields. Unique merchant reference number that you create for the order. appear on the settlement page where you can modify the content if necessary. 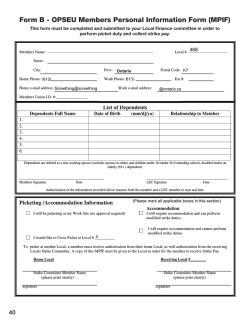 Information section of the order form. section of the order form. requests submitted by Merchant after the point of suspension. you enter a default value, this value will appear on the order form as an editable field. expenses such as travel and entertainment or for corporate supplies and services. and services. These cards are often used as replacements for purchase orders. United States, you must use additional fields. Processing Using the SCMP API. Amount charged on imported and exported items. Amount of tax in the order. Tax exemption status of the order. in the Virtual Terminal, the transaction receipt, and the details page for the transaction. Simple Order API and Level II and Level III Processing Using the SCMP API. Below is an example of the Virtual Terminal Settings page. You can choose to Hide, Read Only, Optional, or Require each Order-Level and ItemLevel field. selected. The customer cannot change it. If you choose to make a field Required, the customer is required to fill in the field. fields display on the customer's emailed reciept and your emailed reciept. API field names for the Level II and Level III fields in the Business Center. your transactions or in keeping track of statistics. Authorization, which is discussed on page 41. This field provides the 6-digit authorization code that you receive for card transactions. Default country where you process transactions. Default currency that you accept. customer and the email address that is to appear in the sender’s field of the receipt. possible fields. For a sample double receipt, see the printed receipt on page 70.
will be subject to a reversal of payment, also known as a chargeback. CyberSource to run for each of your transactions. Credit Card Authorizations," page 83. Hard rejection: You cannot capture these orders. If you use Smart Authorization with card-present transactions, see "Card Present: Retail,"
the authorization results before capturing the order. transactions processed in the Virtual Terminal. Partial address match. Either the street address or the postal code matches. No address match. Neither the street address nor the postal code matches. Card issued outside of the United States. area to the right of the card number. Back of card: 3 digits in the signature area. number with the credit card number when you request authorization. not match the number on the card. working or is not available for this card type. customer did not provide it. Card verification not supported by the card issuing bank. Billing or shipping address not verified or that do not match. United States prohibits commercial sale according to the USA PATRIOT Act. Settings tab. The online help explains how to configure the settings. "Adding and Modifying Users and their Privileges"
This merchant user is an administrator who can create up to nine merchant ID users. Payment Authorization, and Payment Capture/Settlement/Debit. more information, contact your account provider. Payment Authorization: can process credit card authorizations. (sale or capture with verbal authorization) and electronic check debit. permission to successfully re-authorize a partial transaction. successfully process a re-authorization and capture. Authorization permission to successfully process a new order. using the button options on the search details page. and Reviewing Orders," page 74. This permission gives the user the ability to export search results. API Key Management: can see, create, modify, and delete API keys. Order Page security scripts but cannot see or modify the settings. cannot modify them; cannot see or modify the settings. Page settings; cannot see, create, or delete the security scripts. Center Hosted Order Page User's Guide. Report Settings View: can see the report settings and subscriptions. Report View: can search for and view reports. below. Users are listed in order of creation. modify, and delete merchant ID users. Transaction, Payment Authorization, and Payment Capture/Settlement/Debit. the test and production systems. modify the user to assign permissions or a role. authorization in the Virtual Terminal. reports but not to log into the Business center. changes among your users and their permissions. You can obtain this report at any time. The Business Center stores your company information, which you can update at any time. you if necessary. Your account information is located under Account Management. This section indicates whether your account is in live or test mode. original order. With this feature, you can decline these duplicate orders. 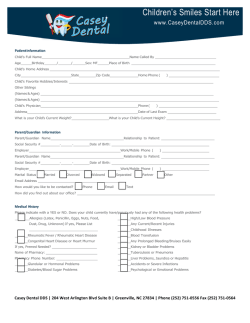 You need to provide your complete contact information. section to the Shipping Contact section. not be available in your package. If your account is still in test mode, the Go Live section also appears. The figure below shows the first four sections of the Account Information page. password often and that you store it in a secure place. customers’ orders. For instructions on completing the fields, see the online help. followed by a "Transaction Receipt." a previous one, see "Follow-On Transactions," page 65. You can process either card-notpresent or, if your account provider allows, card-present retail transactions. figure below. These fields always appear on the Virtual Terminal. Authorization, see "Configuring Smart Authorization," page 40.
you need adequate shipping information if you are to ship the goods. fields, starting with the transaction type. need to capture the authorization to have the money transferred to your account. Sale combines authorization and capture in the same request. orders, you must ship the goods before you capture the funds. the processor and capture in the same request. Credit refunds the captured amount to the customer. transactions if your payment processor supports these credits. II fields. For more information on these fields, see "Level III and Additional Level II Fields,"
processor, see Appendix E, "Level II and Level III Field Requirements," on page 131.
equivalent to performing a debit. by scanning cards or entering the information manually. transactions may not include the customer's address. the online help for the Virtual Terminal Settings page. button called Click Here to Scan Card. can either scan the card or enter the information manually. retail. You only need to complete the remaining required fields. you can enter the customer’s different form of payment to pay the remaining balance due. performs a full authorization reversal on each of the partially approved transactions. This section applies to payment cards only. Follow-on transactions are created by using an existing authorization to process a reauthorization, sale (re-authorization and capture), or new order. authorization that you want to use is not risky or fraudulent. Payment permissions. For more information, see "Permissions," page 44.
and an example of each. reversal (card issuers are not required to do so). the amount for the item that you can ship. The original authorization is good for 7 days for Visa and 30 days for all other card types. options to process the order. Business Center to capture the entire order. order from the Business Center, all the order information is placed in the Virtual Terminal. You only need to add the transaction amount and a new order number. You clicked Re-Authorize and Settle. credited, voided, or one that was placed in review or is pending settlement. process a capture or sale by using the original authorization. You can process follow-on transactions for up to 180 days after the original authorization. After you process a transaction, you receive a receipt. appropriate fields. The online receipt contains all the fields relevant to the transaction. of reference numbers in your reports. new transaction, or create a subscription (if this option is available to you). settings page to appear on the printed receipt. On the transcation receipt page, click Create Subscription. The New Subscription page opens. subscription, see Recurring Billing Using the Business Center. Authorization to be verified and to the customer’s bank to be approved. "Configuring Smart Authorization," page 40. Search Details page along with the results of Smart Authorization. reserves the amount until you collect the payment. You can later capture the order. "Searching and Reviewing Orders," page 74. Validation errors in the customer’s order data, such as the credit card number. that the issuing bank may still decline to authorize a purchase even if the card is valid. your customer to verify the card number or to provide a different card number. System errors that prevent the order from being completed. and charging the customer’s card many times. "Reviewing Declined Credit Card Authorizations," page 83 for details. The customer’s bank declines the order, and you do not receive an authorization code. authorization code, you reject the order. If you receive a six-digit authorization code, you can process the order and later capture it. tasks or to find errors that occurred in your orders. the Business Center Reporting User’s Guide. - Void a pending order. or last month, or a custom range. You can search an interval of up to six months. limited to debits. However, if none exist, the search consists of stand-alone credits. This figure shows the search page. and request ID. The status column shows one of these values. The card authorization request was processed successfully. processed successfully by the payment processor. successfully by the payment processor. failed. The reason is not specified. The authorization was partially approved. payment processor. The reply of the payment processor is pending. review the order carefully, and possibly capture the authorization. The check debit request was processed successfully. only in the search results page and in the exportable search report. If you use Level II or Level III fields, the data appears at the bottom of the details page. understand exactly the meaning of the code, see "AVS Codes," page 123. "Capturing Orders," page 88 below and "Crediting Orders," page 96. Void an authorization that has not been captured; see "Voiding Orders," page 98.
account number; see "Searching for Orders with Similar Information" below. same customer or possibly fraudulent orders. 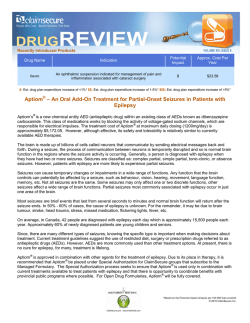 previous authorization because new orders are not linked to the original authorization. original authorization was followed by a re-authorization and capture. the Transaction Exception Detail Report, which is a daily downloadable report. been used to settle another transaction. you can request a follow-on credit only if you have a successful capture. those error notifications sent by card processors during authorization attempts. rejected and set aside. They cannot be processed until you locate and correct the errors. below describes the type of information that you can find in the exception search. "Reason Codes in the Transaction Exception Detail Report," on page 127. Type of error (data, processor, or settlement) or failure. the capture has been processed and batched successfully. received in the initial transaction receipt or reply. in the Business Center Reporting User Guide. and in the results page, click the request ID of the order that you want to review. tool to find this authorization. page, you can hide transactions from search or capture authorizations. verbal authorization. Otherwise, the transaction will fail. by using the original authorization. that you want to use is not risky or fraudulent. For more information on processing follow-on transactions, see "Follow-On Transactions,"
authorization, and you are ready to finish processing the order. check debits are captured automatically after they are authorized. have reviewed and corrected all errors (if any) as discussed in the previous section. capture request page where you can modify the content of the fields if you want. Required No Review," page 92.
Business Center or a verbal authorization. You are not be paid until you capture the order. was entered in the order form, you can modify either or both of them. credit part or all of the order. bottom of the page, but the customer ID does not appear on the page. figure below but does appear in the following figure. capture request, the customer ID is no longer visible, but the comment is shown updated. provided, you use the Authorizations Ready to Capture Search page. are confident that you do not need to look at the order details. waiting for a report to be available, you can export the list to a CSV or an XML report. this page, you will no longer see this order. enter that amount to be credited. To issue credits, users must have the CO access level. capture, you can see both options at the same time in the details page. usually in two to four days. the amount entered for the credit is correct. on the status of your credit request. which is linked to the original transaction, is called a stand-alone credit. information used for the original order. not exceed the original debit amount. the customer and payment information used for the original order. must resubmit the transaction request. option to undo the transaction is to issue a credit to your customer. order, you can void each credit request. Status of Captured Orders," page 93.
processed successfully. A Void option appears in the Order History table. single file that contains a set of order requests instead of sending individual transactions. The menu item is located under Tools & Settings > Batch Transactions > Templates. them in the Upload area. the payment processor according to the normal processor batch schedule. date range and click Search. Your results display in the status grid. Daily Summary Report shows a summary of the transactions in the batch. customers during a specific day and show all refunds as well. does not receive a refund for the order. correcting failed captures and credits, see the Business Center Reporting User’s Guide. statement to ensure that funds were successfully deposited into your account. can use this information to decide what credit cards to accept. no suspicious pattern exists in the amounts refunded to customers. information to process credit card payments. who your account provider is, contact your merchant bank. debit cards, which are processed as credit cards. and you can reconcile your account. more information on capturing an authorization, see "Captures," page 105.
authorizations for card types for which the merchant is not configured to accept. date, and other information about the card. You send a request for authorization over a secure Internet connection. CyberSource validates the order information and performs the Smart Authorization tests. See "Configuring Smart Authorization," page 40 for details about Smart Authorization. 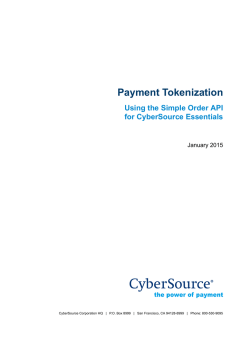 CyberSource contacts your payment processor to request authorization. the issuing bank for the customer’s credit card. Service (AVS) to determine whether the customer provided the correct billing address. CyberSource tells you whether the authorization succeeded. your account, you receive the information that you need to call for a verbal authorization. transactions are indistinguishable from other credit card transactions. request a capture, you must have a successful authorization that has not been captured. settled nightly. It usually takes two to four days for funds to be transferred. You send a request over a secure Internet connection. CyberSource validates the order information and stores the request. After midnight, CyberSource sends the batch file to your payment processor. payment type or a combination of payment types. authorization and capture at the same time, which is called a sale transaction. using the Business Center to process payments in a retail store). time elapsed after the debit. Credits are discussed on "Crediting Orders," page 96.
of money that you expect. Customer," page 109. Each of these steps is described in detail below. Without adequate shipping information, you cannot ship the goods. Form of payment and details: credit card number and expiration date. the settlement and credit pages. the goods and reserves the amount until you collect the payment. analyzing each credit card authorization and, therefore, guards against fraud losses. Smart Authorization uses these fraud detection tools. about Smart Authorization, see the "Configuring Smart Authorization," page 40.
authorization and capture is called a sale. Authorization and capture in the same request. day, and you see all refunds as well. transactions, use the credit card services described in this guide. information and notifying you when discrepancies occur. Use the credit card services described in this guide. Provide retail data as described in the Retail Transactions Supplement. Level II and Level III data: See the Level II and Level III Transactions Supplement. Retail data: See Retail Transactions Supplement. transactions. For more information, contact your account provider or Customer Support. Number 21080203 (white) or 21080204 (black). 1. MagTek® is a registered trademark. Copyright © 2015 MagTek Incorporated. All Rights Reserved. keyboard-to-USB adapter, available at CompUSA. To connect the card scanner to your computer and to activate it, see the following section. keyboard during the few seconds that you need to scan a card. isopropyl alcohol to clean the mounting surface. equipment supply store. The figure below shows the two types of connectors. for room to pass a card through the scanner. The side where the light is located faces the user. The cord is long enough to easily reach the computer. proceed with the appropriate method. Reproduced by permission from the MiniwedgeTM Swipe Reader Technical Reference Manual. © 2015 by MagTek Inc.
desk. The cable sits on top of the desk. Clean the area where the scanner will be mounted with isopropyl alcohol. Use the tape or pads as directed. Attach the scanner securely to the desk. of the desk. In addition, you can drill another hole through the top of the desk for the cable. Before connecting the scanner, make sure that your computer is turned off. Remove the keyboard connector from the computer. connect the keyboard and the scanner to the computer. When done, turn on your computer. The light on top of the scanner turns green. The scanner is ready. in the Retail Transaction Settings section of the settings page. Hold the card firmly with the magnetic strip facing down and toward the light. touches the base of the scanner at all times. Terminal. The green light reappears when the scan is complete. transaction with such a card, the transaction will fail. account. For the list of electronic check processors, see "Payment Processors," page 115.
the information about your business that you will need for your application. account from an acquiring bank. Acquiring banks collect fees for each transaction. consumers have their bank account and is similar to an issuing bank for credit cards. (customer’s bank) from the ACH Network. processor will provide you with unique identification numbers for your account. The table below describes where you can perform the tasks available for checks. For instructions, see the online help. Your customer places an order. provide CyberSource with the customer’s account information. transaction to the check processor. The check processor validates the information and performs basic fraud screening. known source of fraud. Validation does not occur when you request a credit. or if the account number is invalid. transaction is declined as a result of the verification process. CyberSource sends a reply to you. You display an appropriate message to your customer. The processor sends the request for clearing. system, which is a secure bank-controlled electronic funds transfer system. your account generally within 2 to 3 business days. time elapsed after the debit. Credits are discussed in "Crediting Orders," page 96. Center and from your bank or payment processor. process orders efficiently and accurately, follow the steps described below. information to verify that the customer is legitimate. customer and the order are legitimate. from your processor that the money has been deposited in your account. subscriptions, you must wait until the check clears before shipping the goods. in your inventory, and you ship the order. User’s Guide for more information. fees table in a pop-up window, a full browser window, or directly on the checkout page. 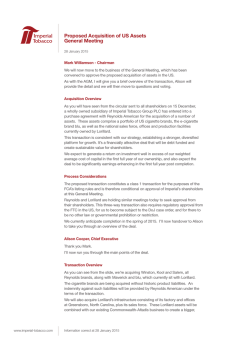 A consent statement that your customer must accept before you submit the debit request. your customer on the phone. all accounts are activated properly and that the funds are transferred to your account. for more information about this page. American Express (billing country must be U.S.
Street address matches, but 5- and 9-digit postal codes do not match. cards not issued in the U.S.
AVS data is invalid or AVS is not allowed for this card type. for the American Express card type. Issuing bank outside the U.S. does not support AVS. Card member’s name does not match. Street address and postal code match. Returned only for the American Express card type. Address not verified. Returned only for Visa cards not issued in the U.S.
match. Returned only for the American Express card type. Street address and postal code do not match. only for the American Express card type. Issuing bank in the U.S. does not support AVS. Street address does not match, but 9-digit postal code matches. Exact match. Street address and 9-digit postal code match. Exact match. Street address and 5-digit postal code match. Street address does not match, but 5-digit postal code matches. CyberSource AVS code. AVS is not supported for this processor or card type. The transaction was determined to be suspicious by the issuing bank. The CVN failed the processor's data validation check. The CVN did not match. The CVN was not processed by the processor for an unspecified reason. The CVN is on the card but was not included in the request. Card verification is not supported by the issuing bank. Card verification is not supported by the payment card company. Card verification is not supported for this processor or card type. No result code was returned by the processor. order that shows risk, even if Smart Authorization does not decline the order. Billing and shipping address do not match. Cost of the order exceeds the maximum transaction amount. Nonsensical input in the customer name or address fields. Obscenities in the order form. Unverifiable billing or shipping address. Order does not comply with the USA PATRIOT Act. Not all reason codes may apply to you. The request is missing one or more required fields. request with the complete information. request with the correct information. the case of system errors. between the client and the server. date the issuing bank has on file. CyberSource does not limit this functionality. provided by the issuing bank. The account has insufficient funds. The card was stolen or lost. The issuing bank was unavailable. The card is inactive or not authorized for card-notpresent transactions. The credit limit for the card has been reached. there is no corresponding, unused payment record. issue with the request itself. capture request for the new amount. The authorization has already been reversed. Possible action: No action required. The authorization has already been captured. with the credit card number. the request, and resend the request. The request ID is invalid for the follow-on request. if successful, proceed with the capture. void for a type of transaction that cannot be voided. occurred at the payment processor. An error occurred during settlement. request and resend the order.